Small and Medium Enterprises (SMEs) represent 99.8% of all businesses operating in Europe; they employ 93 million people and generate 58% of GDP. Yet, only 17% of them are selling goods or services online. It is now time for the EU and its member states to leverage the SMEs’ potential in maximising Europe’s digital transformation. Cecilia Bonefeld-Dahl is the Director General of DIGITALEUROPE. DIGITALEUROPE represents nearly 30.000 SMEs through a network of 38 national trade associations and over 60 global corporations who massively invest in Europe’s digital future. We take pride in bringing SMEs from across Europe closer to Brussels, and Brussels´ heart closer to SMEs. We want to acknowledge SMEs’ role in digitalising Europe, and we need to recognise those who are pioneering innovative digital services. That’s why we celebrated the first ever DIGITALEUROPE SME Award on the 20th of February, in the presence of Commissioner Mariya Gabriel. European SMEs are slowly catching up with the digital world. Yet, they still fail to take full advantage of the possibilities of digitalisation. Only 17% of them sell goods or services online and as little as 25% pay to advertise their products or services online. This is a loss for their business and the entire European economy. Enterprises that make full use of newly available technologies can perform up to 10 times better than their analogue counterparts. Another hard truth is that Europe has yet to produce its tech giants. Out of 227 unicorns in the world (i.e. start-ups valued at €1bn or above), only 28 are from Europe, and the European share of the global pie is not increasing. While the highest level of growth coming from tech companies, it is an issue that around two-thirds of European start-ups are sold to foreign companies or move to the Silicon Valley within the first two growth phases. At the DIGITALEUROPE’s Masters of Digital event which took place on the 20th of February in Brussels, we have reached a new milestone in showcasing our efforts to support the digitalisation of European SMEs. For the first time ever, three European SMEs (see video) which have the potential to become European Tech giants -i.e. 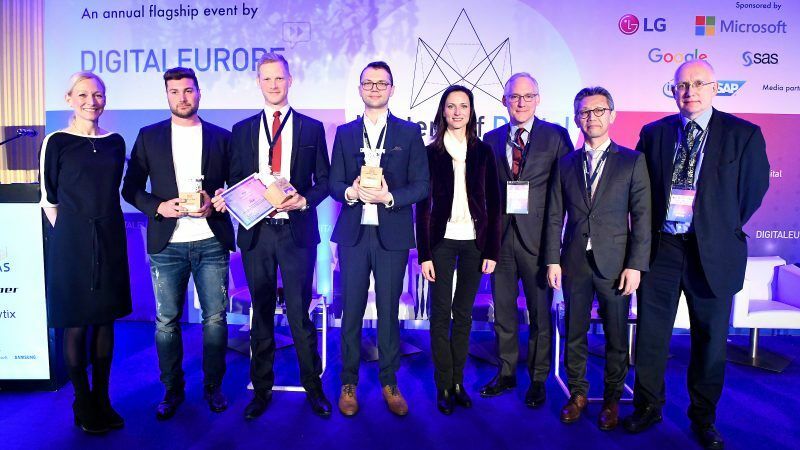 AirFaas from Finland, Deeper from Lithuania and Plytix from Denmark – have received the DIGITALEUROPE SME Award. The winner is AirFaas from Finland. AirFaas delivers Factory as a service. As the CEO Edward Blomstedt explains “AirFaas is like an Airbnb for manufacturing. It is a portal that allows companies to manufacture their machines and components without owning factories, production equipment or having production workers.” Businesses can upload their product design on the AirFaas platform and arrange a global supply chain closest to their markets. The two other finalists were also rewarded: Deeper from Lithuania and Plytix from Denmark. Deeper is the second fastest growing tech company in central Europe and has already 18 million customers, it is leading the smart device revolution. The actual device they developed, the Deeper smart sonar, “has entirely changed how anglers practice fishing” claims Rolandas Sereika, CMO at Deeper. The sonar is attached to the fishing line and sends a range of data to the anglers’ smartphones, which gives them information about what is happening underwater and improves the overall fishing experience. Plytix, a Danish startup, is all about big data analytics and helping SMEs take control of their data management through digitalisation. Morten Poulsen, CEO and Co-founder at Plytix, explains “our technology makes it easy and affordable for small businesses to gather data on their products and use machine learning algorithms to segment their customers and identify new business opportunities.” Tools like these are expected to bring up to a 23% increase in productivity to European SMEs. But all three finalists agree that the principal problem remains the fragmentation of the EU market. In 2015, only 7.5% of SMEs were selling across national borders. Without a harmonised single market, the difficulties for scaling up will continue to put European companies at a considerable disadvantage compared to their American and Chinese counterparts. In a global digital world, the scale of the market is key to success! All three SMEs are role-models, and all have the potential to become future European tech giants. We will monitor the development of these tech SMEs, and others, in the months and years to come – working closely with our network of national trade associations from across Europe. 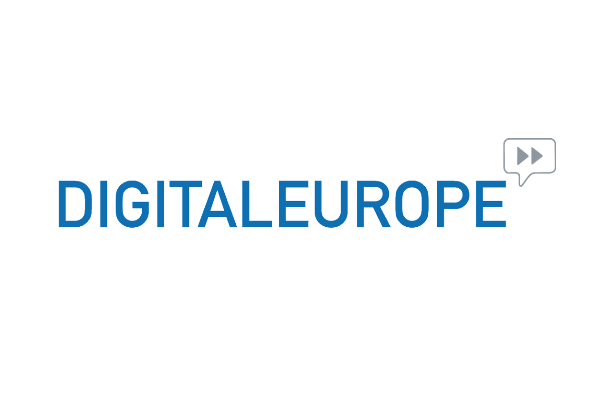 We will also be launching an “SME Advisory Council” at DIGITALEUROPE, with the aim to gather these entrepreneurs from across the continent in Brussels, and to feed policymakers with concrete information and solutions. We must collectively ensure that all innovative SMEs remain and scale up in Europe. This is key for Europe’s sustainability and prosperity in a global digital economy!